I thought I would share some more of the process of my Catherine Quilt. 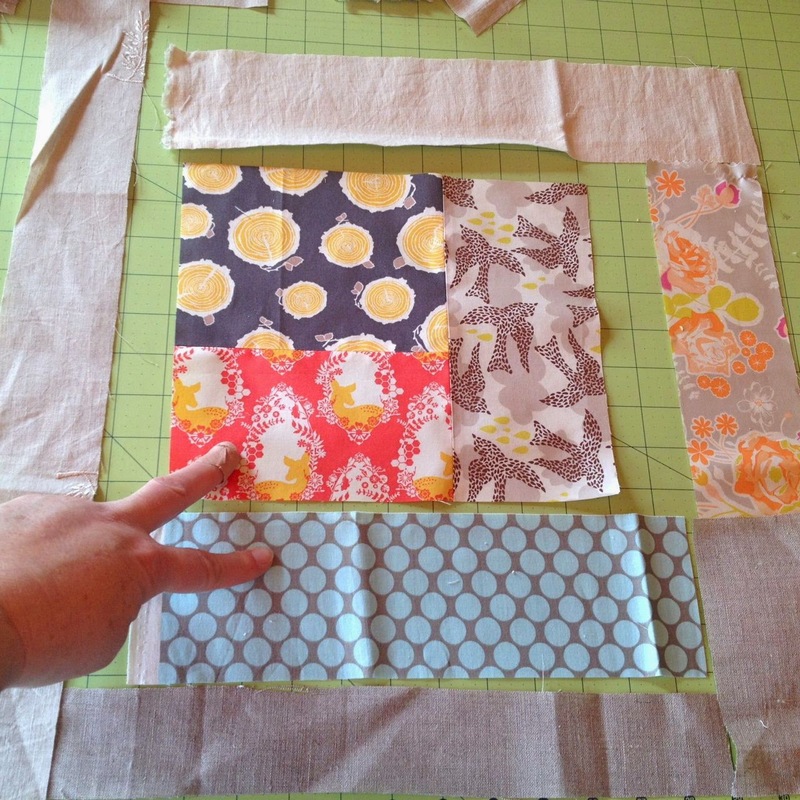 Today I'm sharing how I pieced together my improv blogs. Kind of like a messy log cabin but just totally random sizes. 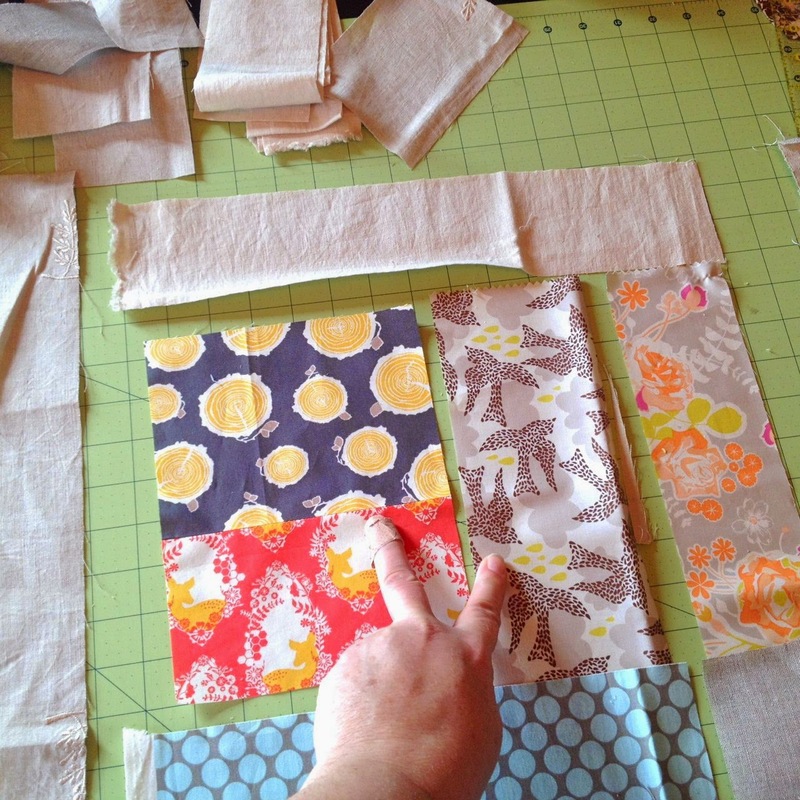 No measuring, I just started cutting pieces of fabrics. I staged each block like this, putting together colors I liked mixed in with some of the linens. 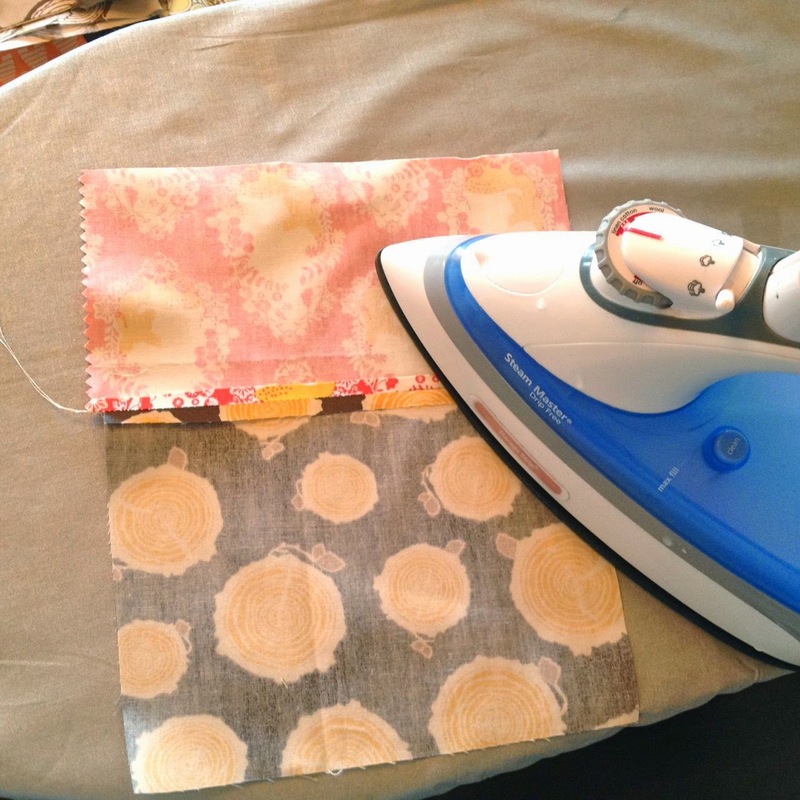 Starting with my first two pieces of fabrics that are similar in size I sewed them together then pressed open the seams. I trimmed the edges to be straight using my ruler and rotary trimmer. Next I found the adjoining piece of fabric that was similar in size to my stitched together pieces. 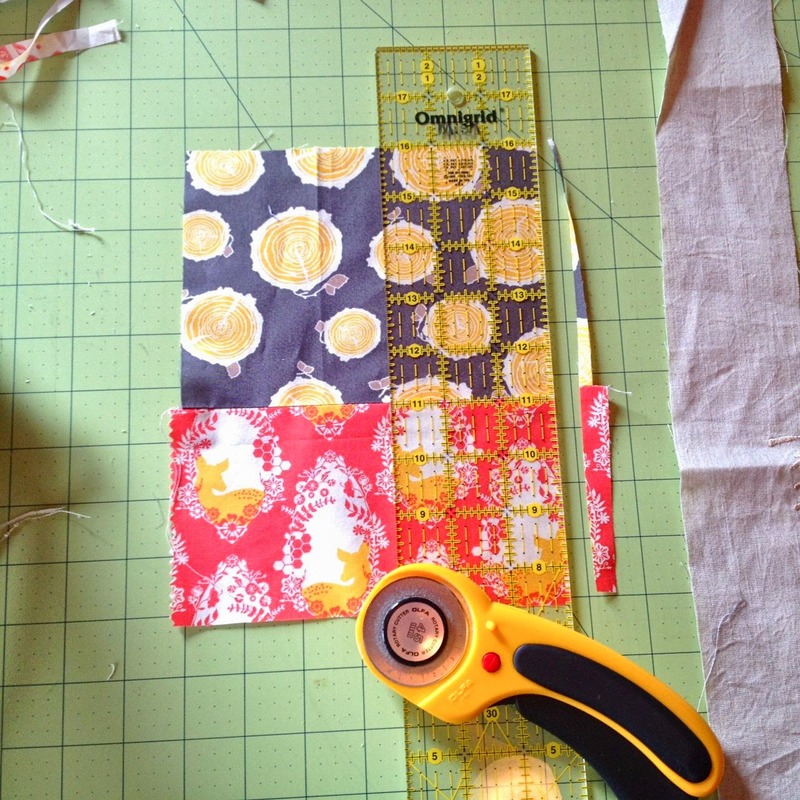 Each time I sewed on a new piece I pressed open the seams and trimmed the edges straight. 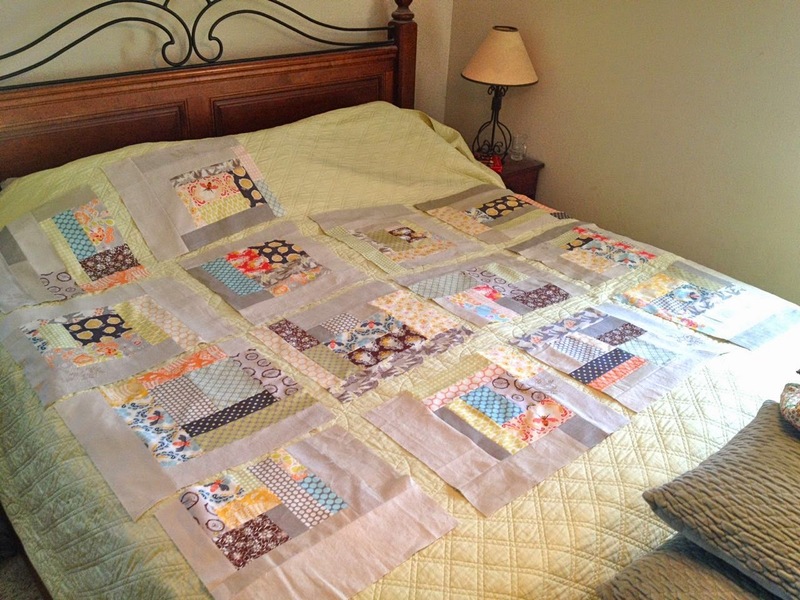 I kept sewing each stitched piece to the next piece close in size until I had enough blocks completed for the size of quilt I wanted. Here's the majority of my blocks spread out on my bed. 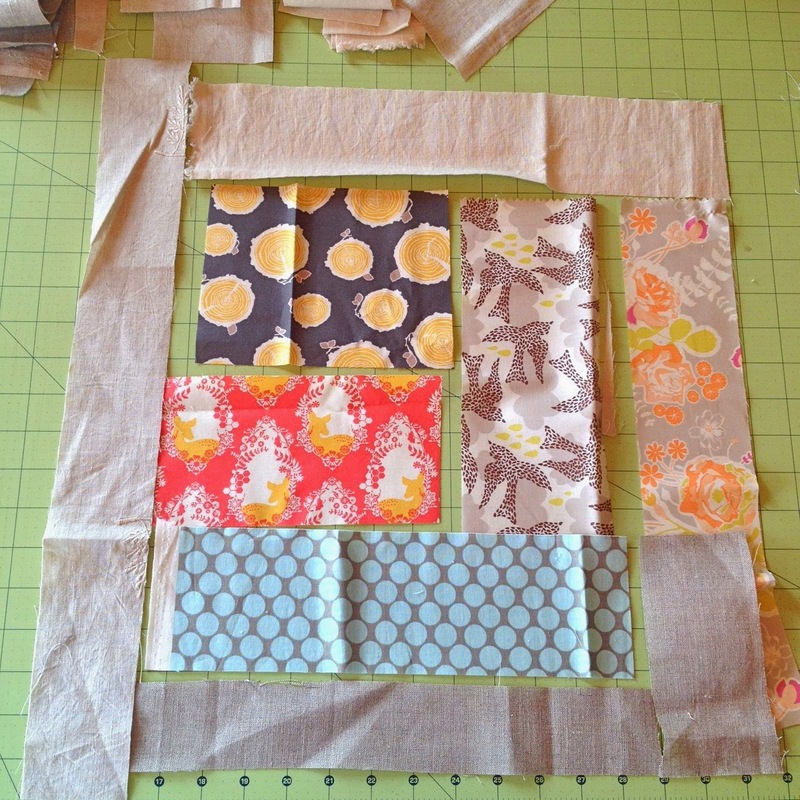 I ended up creating 16 blocks approximately 18" square in size for my quilt. 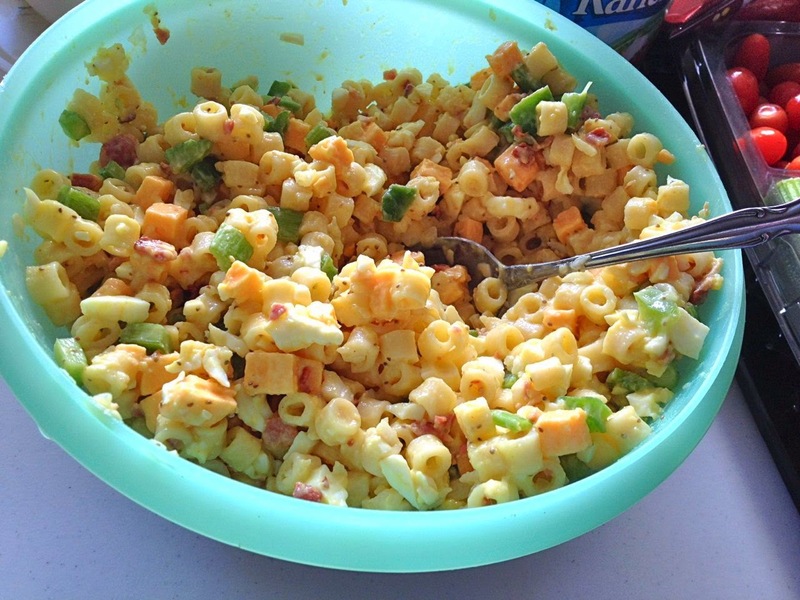 My Aunt Betty brings her Macaroni Salad to every family gathering. It wouldn't be right if she didn't bring it. She dices everything really small and precisely. It's good. We all love it. I shared this photo on Instagram and everyone wanted the recipe. End of story. Aunt Betty brings this to every family gathering. It's always prepared exactly the same way with precisely chopped, small pieces. It's oh so good. It's always served in a green Tupperware bowl. 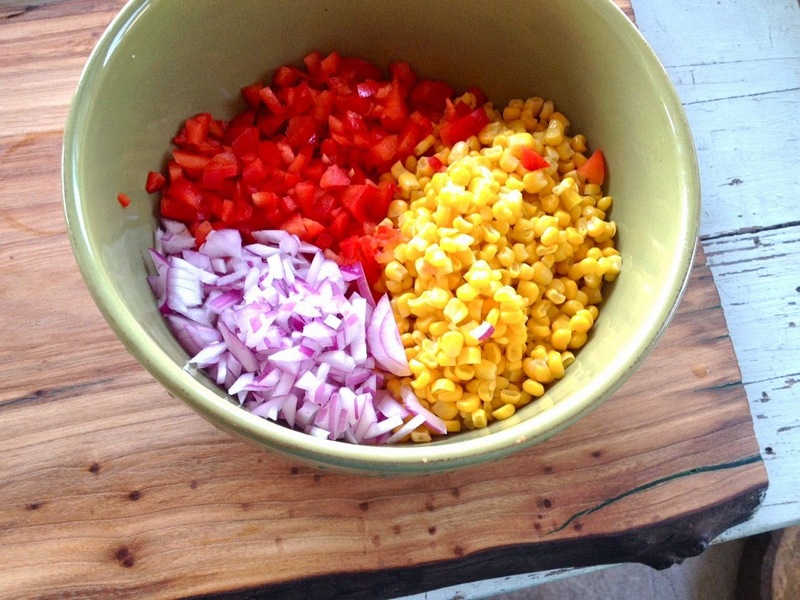 Mix dressing ingredients in bowl. 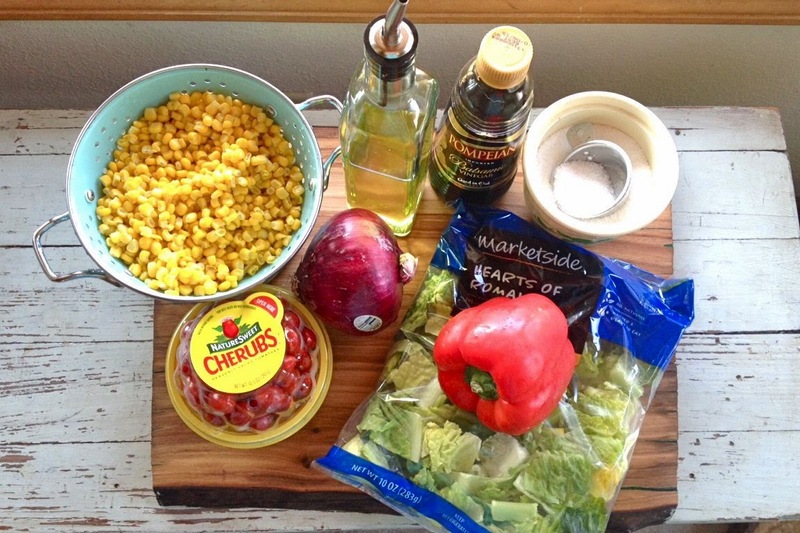 Pour over salad ingredients and mix well. Chill before serving. Note: For best tasting macaroni salad, serve in a green Tupperware bowl just like Aunt Betty. Hey there. 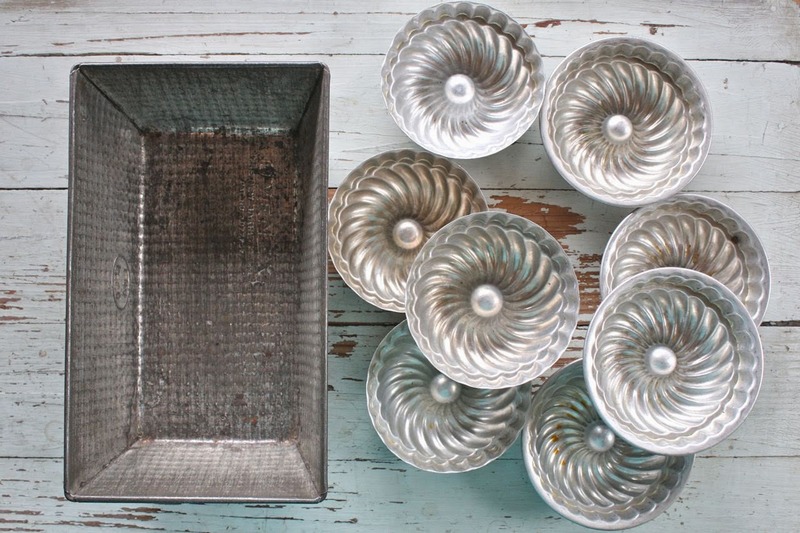 I recently shared a post over at the Gossamer Blue blog. 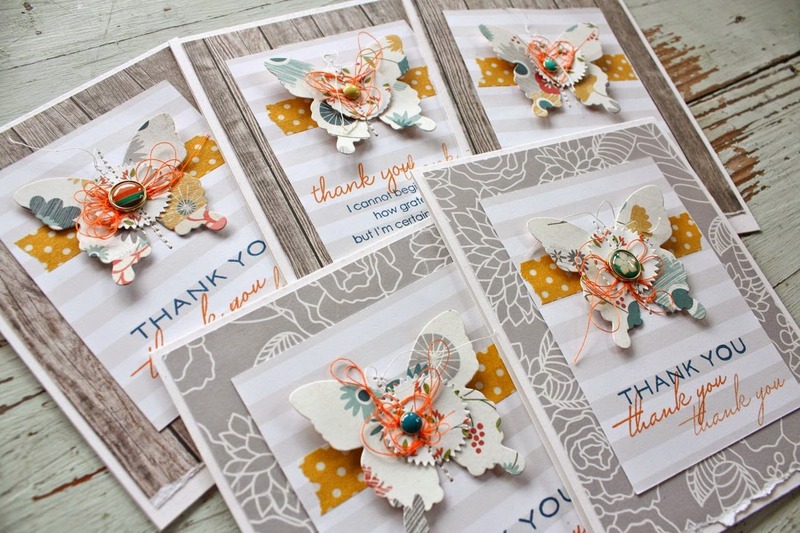 You can hop over there to see how I pair Gossamer Blue kit items with items from my own stash to create some beautiful cards. 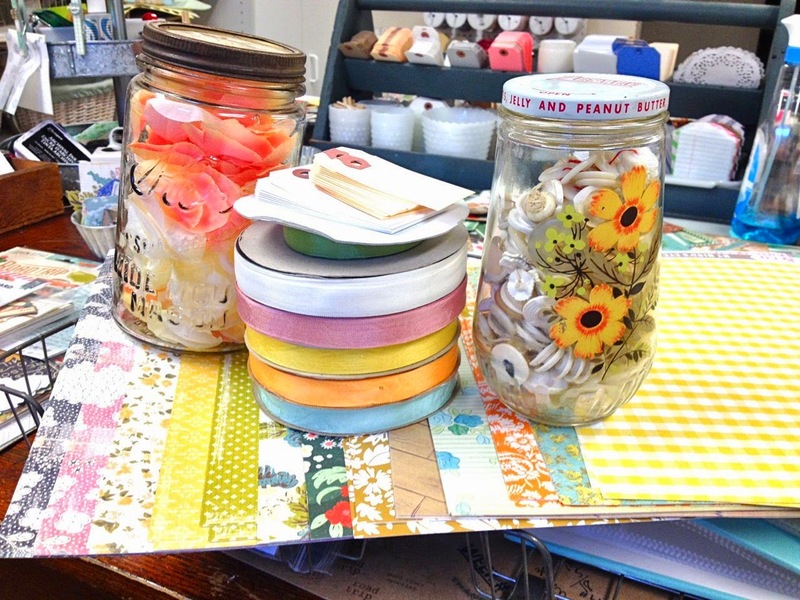 We all want to get the biggest bang for our buck so it only makes sense to reach into our stash of dies, Washi tape and other supplies. Keeping our supplies in a constant rotation is the key to really using all of our goodies that we've collected over time. 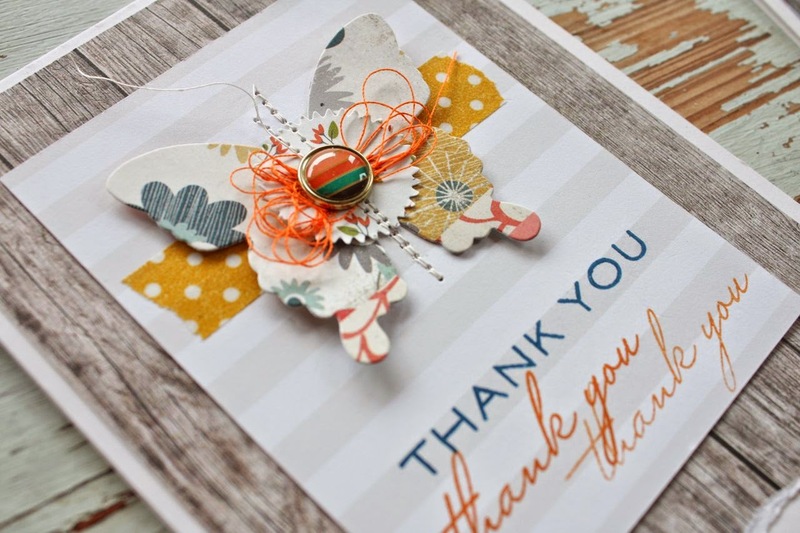 I hope you enjoy my set of embellished butterfly cards and that you get inspired to dig deep into your stash of items. 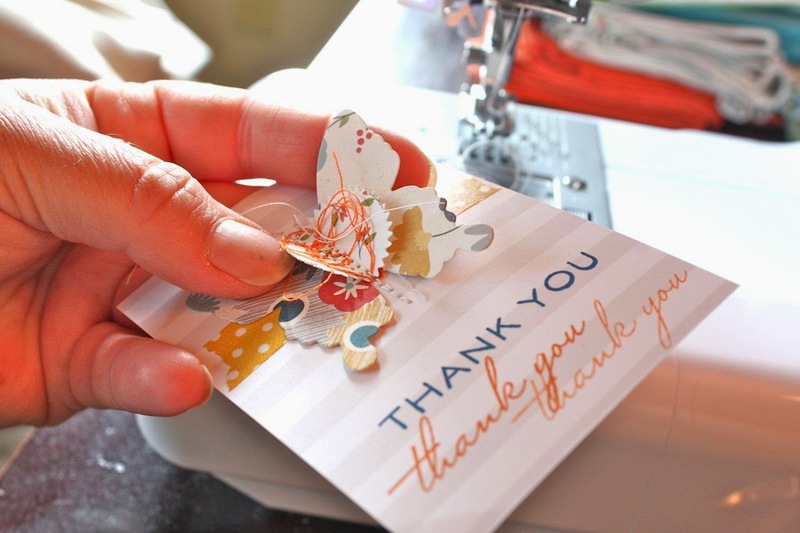 It's amazing how just a little bit of thread from an old spool.....a tiny strip of washi tape....some new brads and paper.....stamps from some older sets....it all adds up to projects that look trendy and fresh when you combine the new with the old. Thanks for stopping by today. 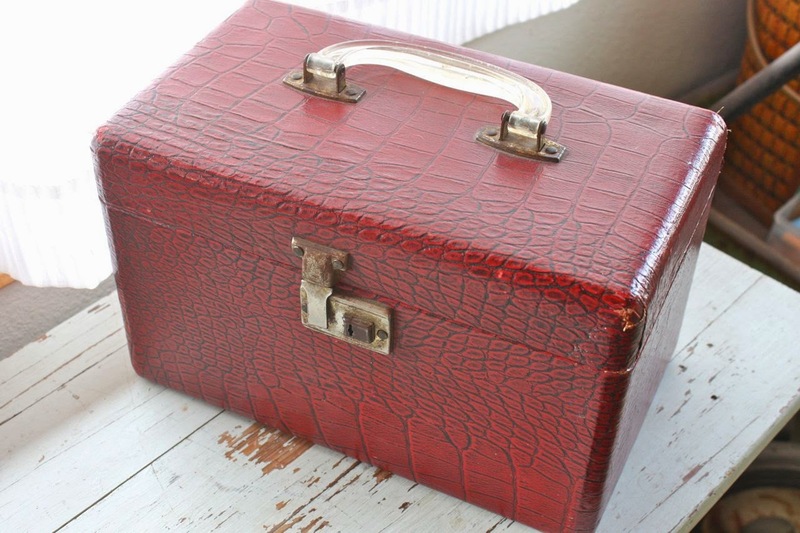 I'd love for you to leave a comment letting me know what older items you're reaching for these days. It's amazing to me how completely new and fresh things like die cuts look when you just use some new patterned paper, etc. I love a good floral stamp set, especially when I can create a vintage look with the images and have lots of options for adding color. It's also great when the stamp set has a fun typewriter font that I love so much. Winnie & Walter's The Big, the Bold and Extras has just the look I love. I used a journaling card as the building block for my images. I stamped the images in brown ink, stamped the filler image then colored a few accents with Copic markers. For the banner I did some two step stamping with a light pink ink. My vintage typewriter came in handy for adding a birthday sentiment. I popped the flowers and birthday sentiment up with pop dots. 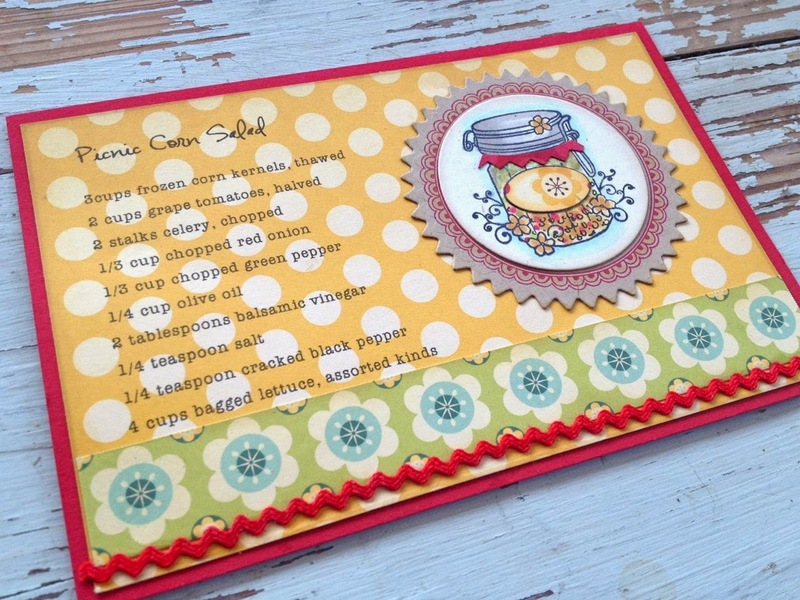 A strip of washi tape placed diagonally is accented with a staple. The journaling card has stitching to add a homespun look. I used a pretty patterned paper from my stash for the background. *Sigh*...beautiful floral images on a card just can't be beat. Thank you so much to Winnie & Walter for having me as their guest this week. 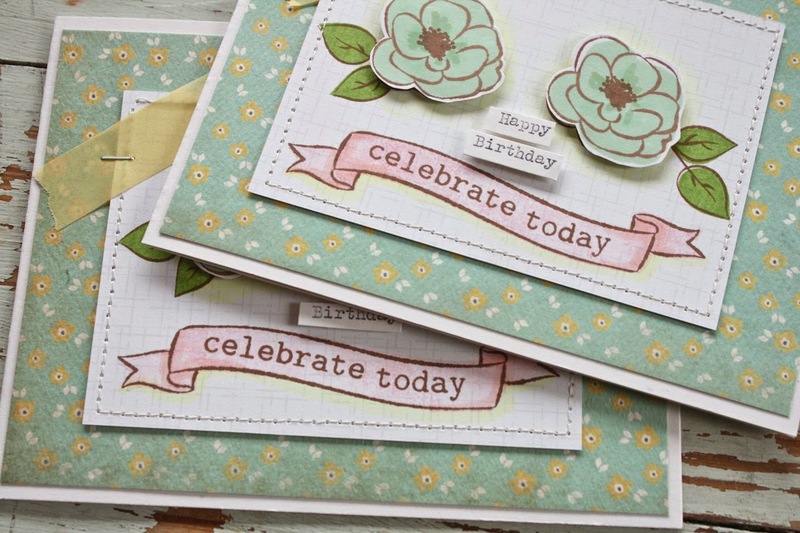 Be sure to check out all their fun stamp sets & see their social media links on their blog sidebar. Today I'm sharing a fun countdown calendar that I created with the Winnie & Walter stamp set called The Big, the Bold and Fun. 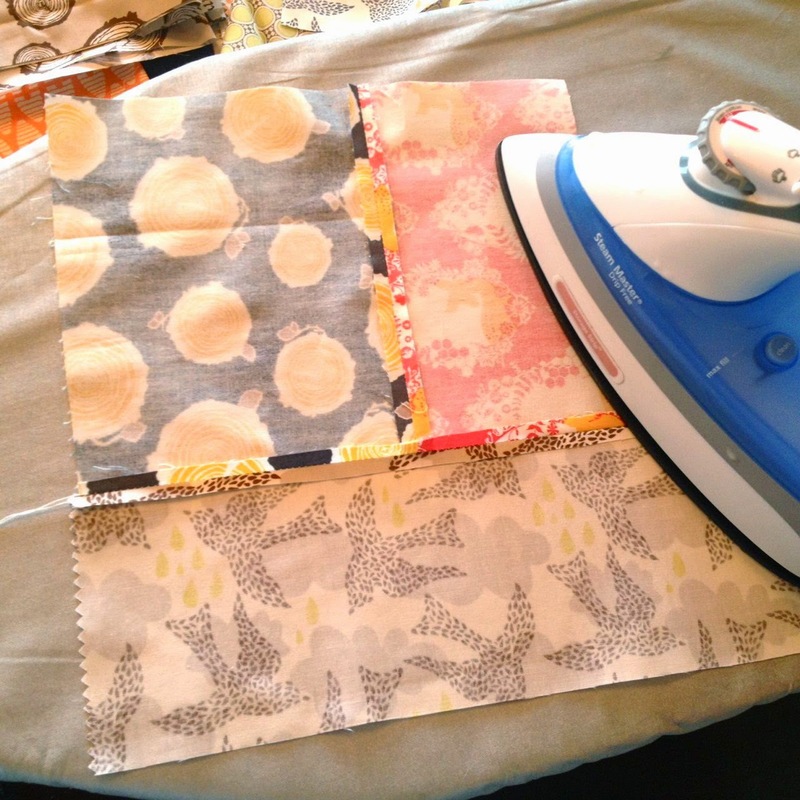 I'll be doing a few guest posts this week using Winnie & Walter products. They're a new little company so be sure to check them out. Last weekend we had a BBQ with the four families that will be traveling to Colorado together in July. 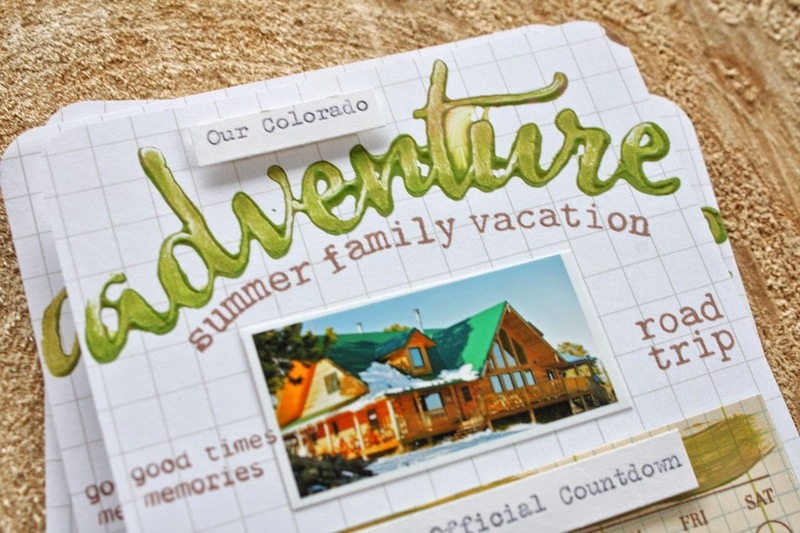 We planned out our travel itinerary, meal plans, activities to do in Colorado, lodging, etc. I thought it would be fun to give each family a little countdown calendar to mark off the number of days until our trip. I know my girls are super excited and can't wait so I know the younger kids would be excited too. I used a 4 x 6 Becky Higgins Project Life journaling card as my base. I included a photo of our lodge and then stamped words and phrases all over the card. 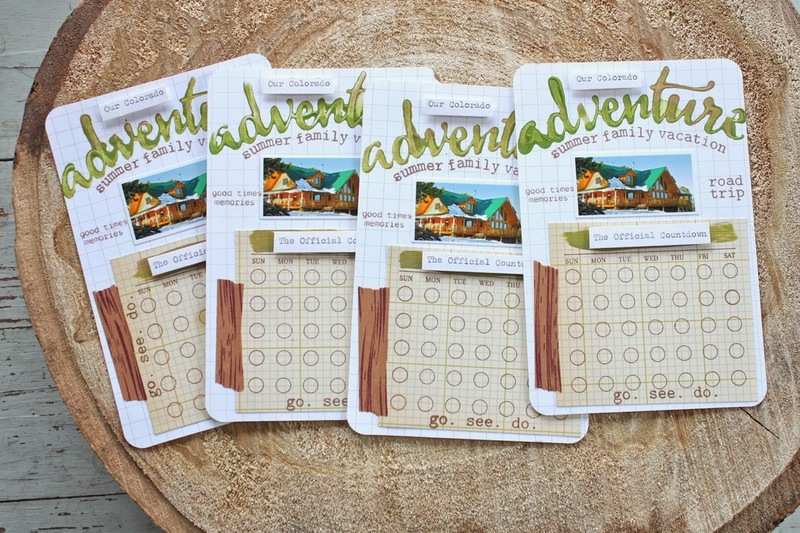 The adventure words were stamped with craft paint, mixing green and brown to give an outdoor feel. 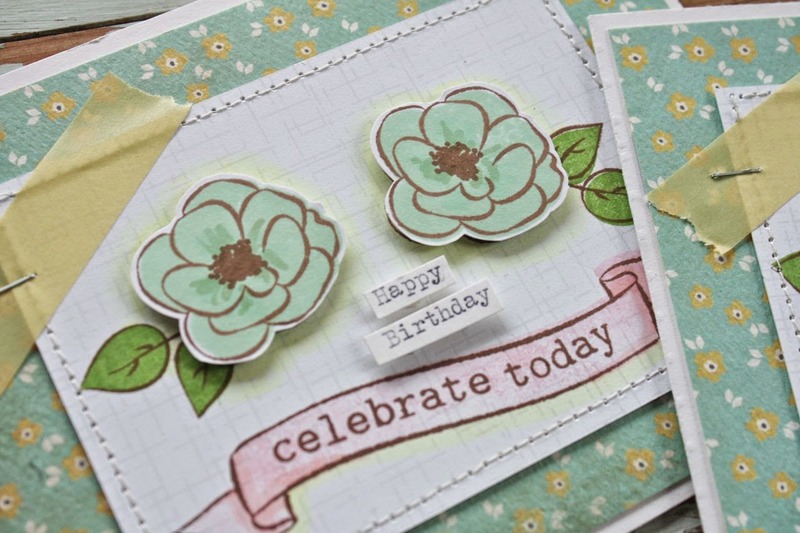 For the bottom of the card I used an older Stampin' Up! calendar that I stamped on grid paper. I added a swipe of paint to create a base for a typed phrase. 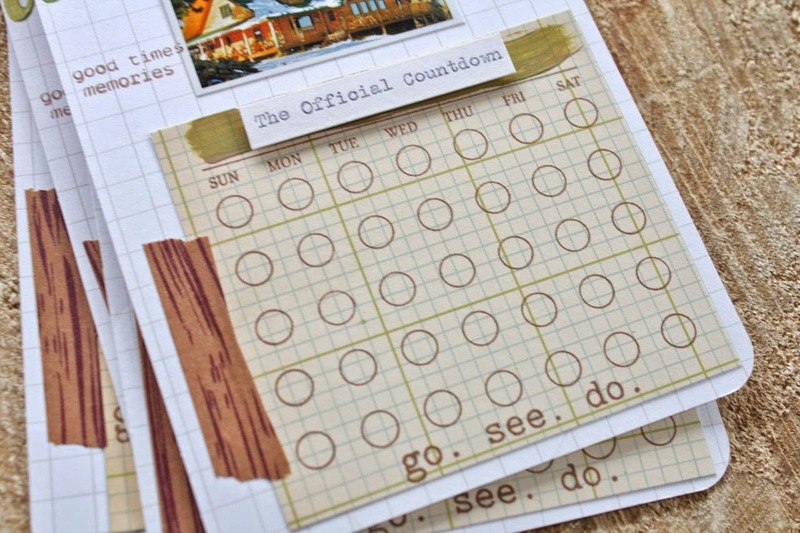 Woodgrain washi tape finishes off the countdown calendars. Everyone loved the calendars and now we're even more excited for our trip. Seventeen crazy friends road tripping to Colorado. It can't get here soon enough. Thank you to Winnie & Walter for having me as their guest this week. Check back later this week for another fun project. 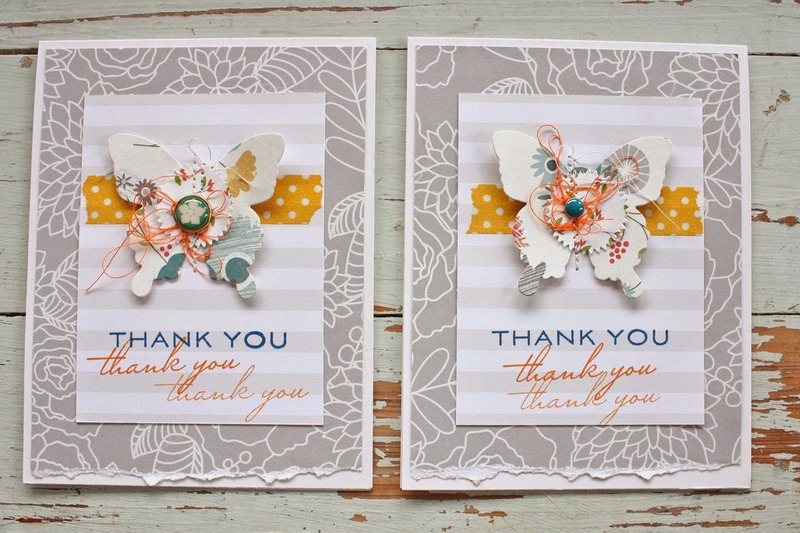 Today I'm sharing a few more cards I made using the June Gossamer Blue kit items. I kept the designs very simple so that I could mass produce some thank you cards for my mom to mail out after her surgery. 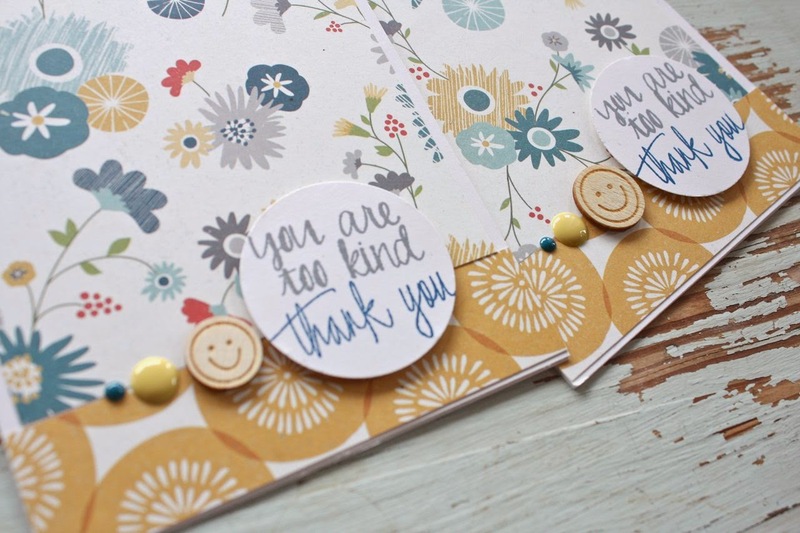 The patterned papers were so pretty and colorful that I kept them the focus of my card fronts. 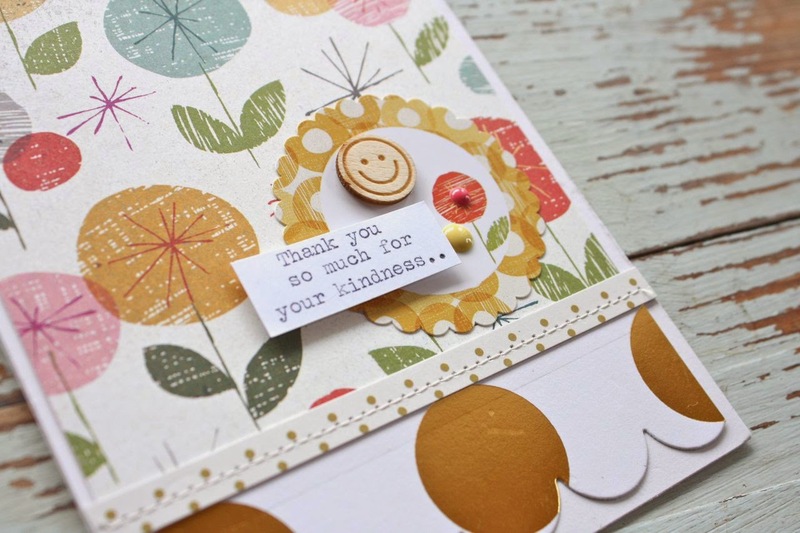 I used a few sentiments from my stash along with enamel dots and smiley face wood veneer from the kits. For a few cards, I typed the sentiments with my vintage typewriter. 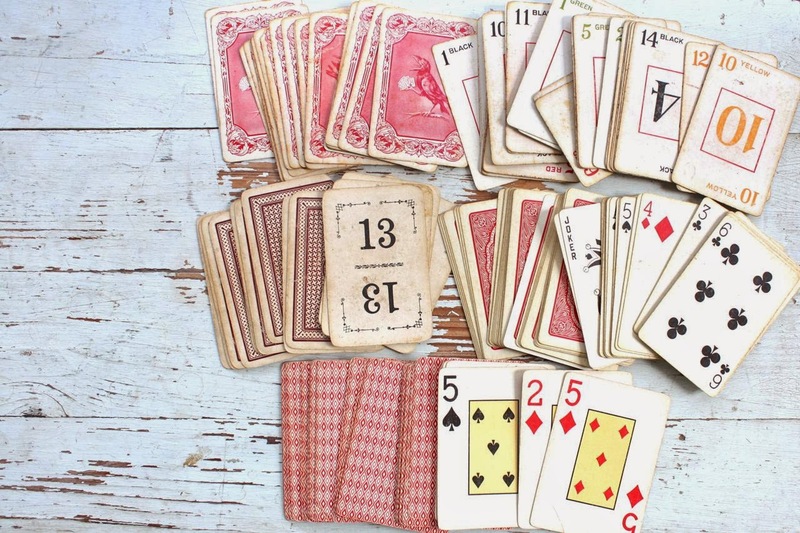 Very simple and easy but oh so nice to have a little stash of cards on hand. Thanks for stopping by, have a great week everyone! Happy Father's Day to all the dads out there! 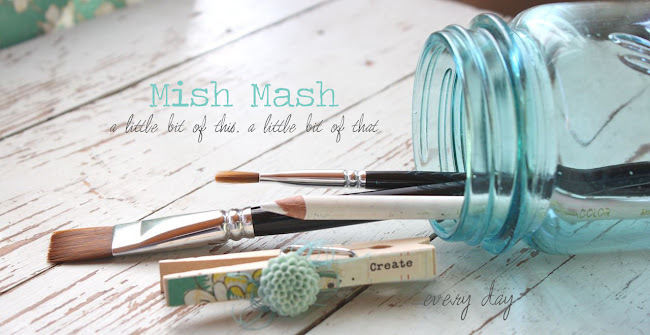 Here in blog land it's time for the June Gossamer Blue sneak peeks. Lori really knocked it out of the ballpark this month on selecting kit items. They're absolutely perfect and it's hard to pick a favorite. 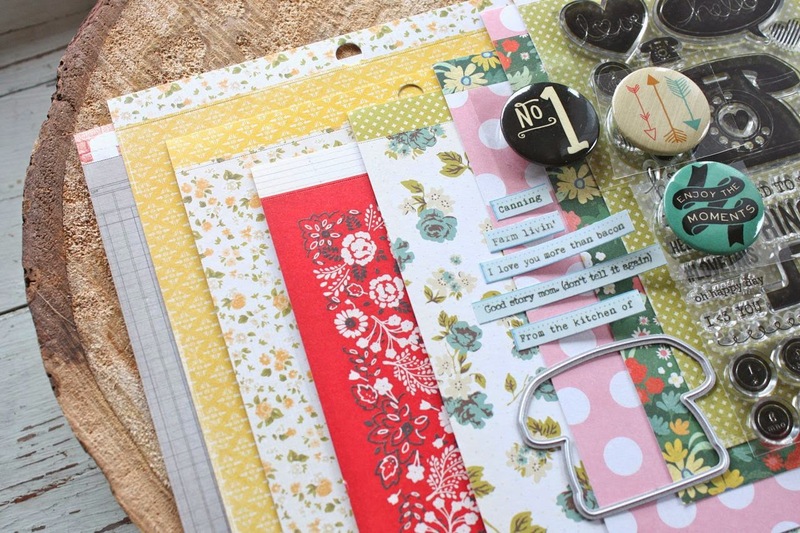 First up is the Life Pages Kit. 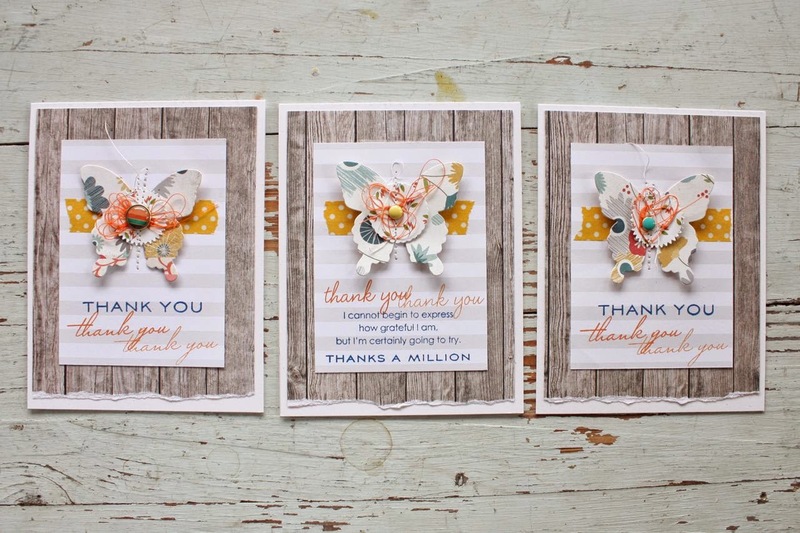 Full of fanciful cards designed by Traci Reed, clips, enamel dots, Pink Paislee and Crate Paper. I'm especially looking forward to working with the stamp set this month. It's packed with fun images that will be great for scrapbooking and card making. 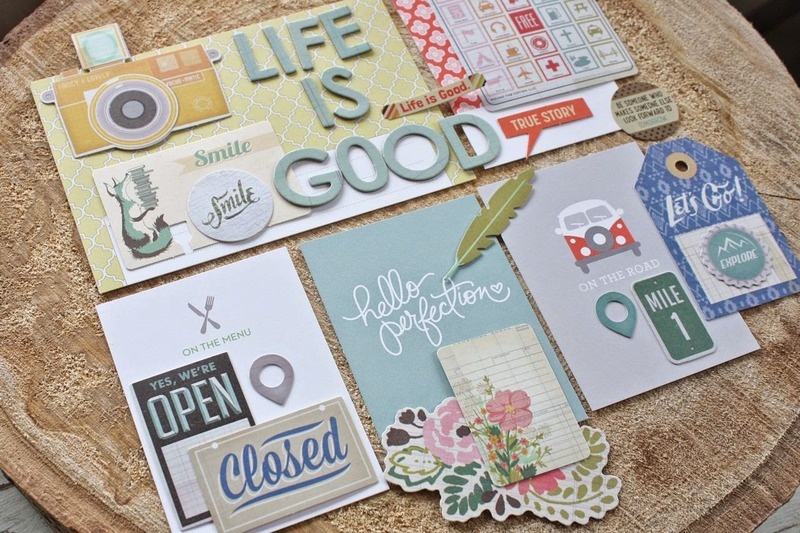 The Life Pages Main Add-On is a fun addition that contains some exclusive GB journaling cards + a delightful pack of cards from the Crate Paper Open Road collection. October Afternoon makes an appearance this month with some cute Tin Pins Flair + there's more from Pink Paislee and Studio Calico. 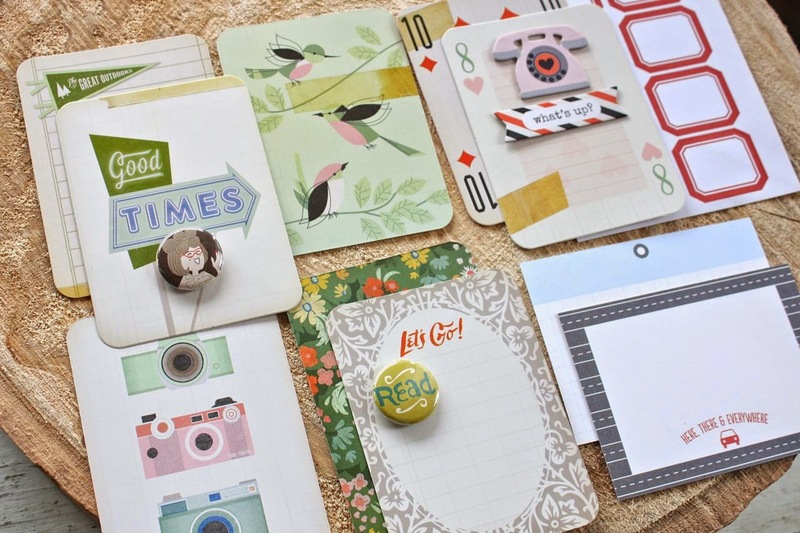 The Life Pages Add-On #3 is going to be great for adding lots of paper embellishments to journaling cards and scrapbook pages....and even cards. 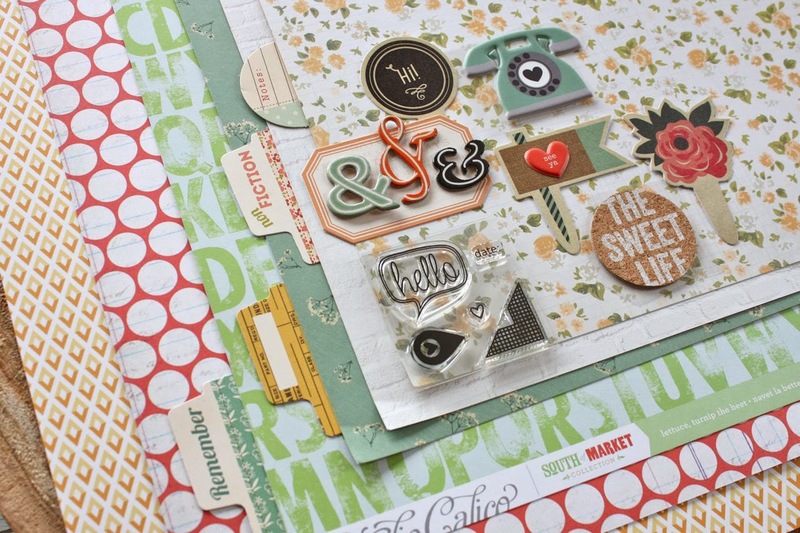 The chipboard alphabet is in my favorite color and Fancy Pants delivers some goodies in this kit too. 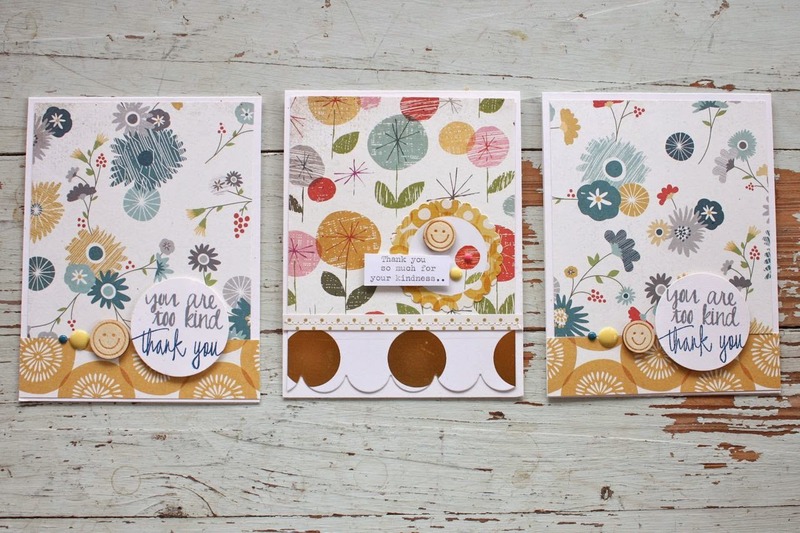 If you're a fan of our own One Little Bird journaling cards by Peppermint, you won't want to pass this kit up. 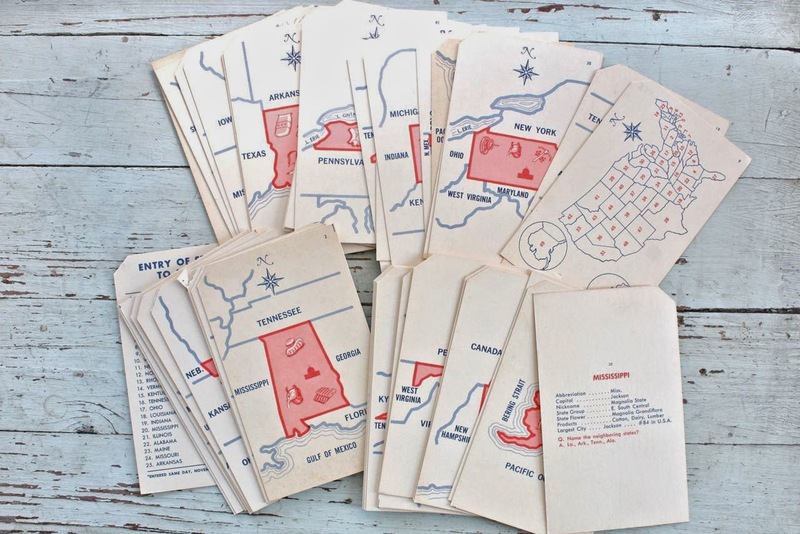 If you're heading on a road trip or fun Summer vacation, I'd also suggest this kit. It's just that cute. 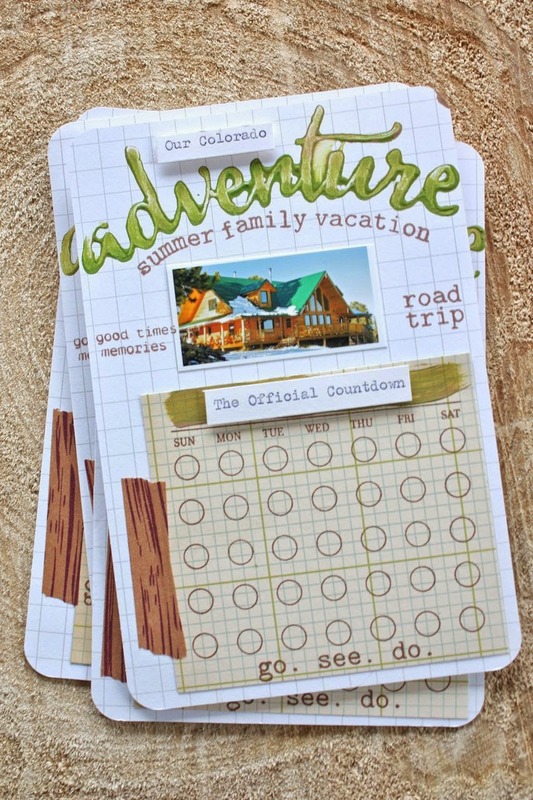 June Bonus: I'll be selecting items from all of the kits and rounding up my own travel themed kit. My plan is to have a mini album and travel themed goodies all ready to create an album when we get back from our Colorado trip. I've been gathering items and it's going to have the perfect look I'm after. I'll be sharing some peeks of that soon and then will share more once I'm back from our trip. 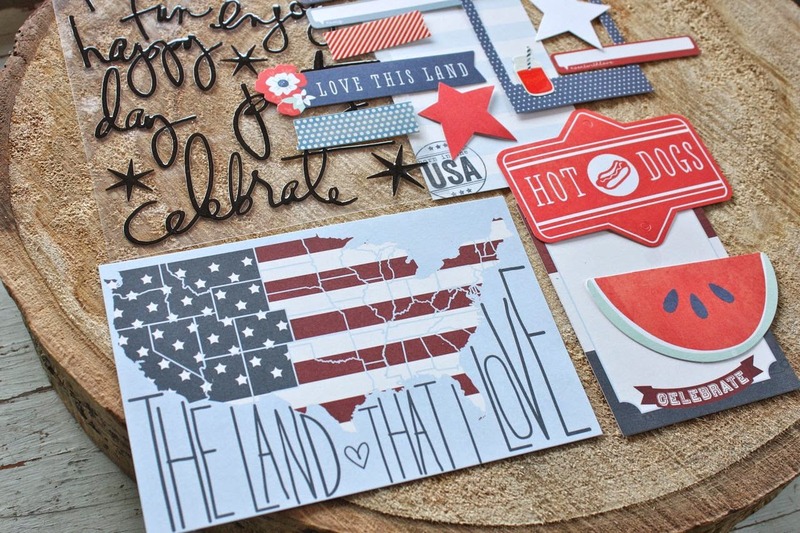 This month's Life Pages Themed Add-On is perfect for creating those patriotic pages and cards. There's just enough to add some good ol' red, white and blue to your projects. I really love the journaling cards that Traci designed for us this month. The Main Kit just makes my heart go pitter patter. There's some serious heart palpitations going on when I look at this peek. 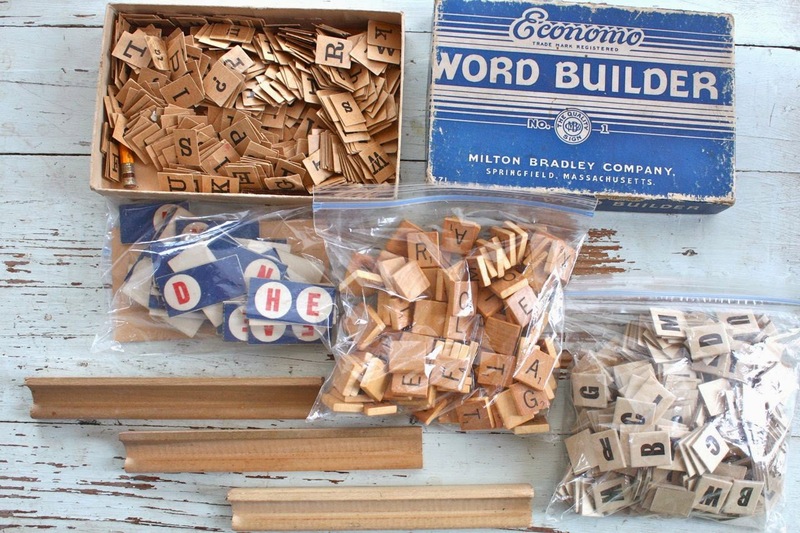 Just check out the papers, the fun label tabs, the chipboard, cork stickers and stamp set....and those ampersands from the Crate Paper chipboard pack?....I faint. Road trip anyone? 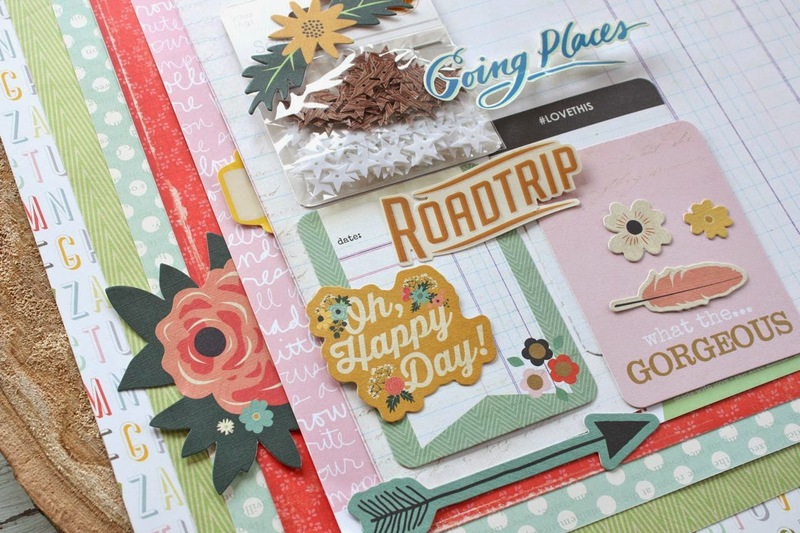 I'm so excited about the Crate Paper Open Road collections sprinkled into this month's kits. 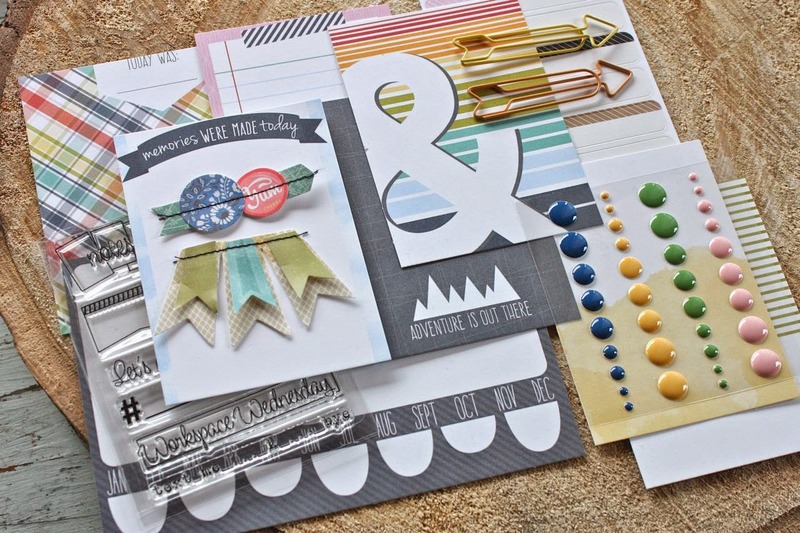 The Main Add-On Kit has fabulous papers, fun accents and the cutest star sequins from Studio Calico. 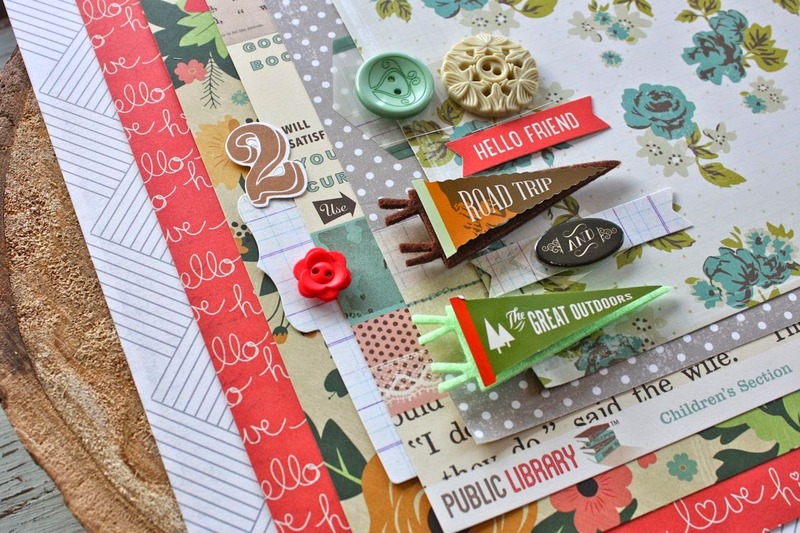 The Add-On Kit #2 packs even more fun papers and embellishments. 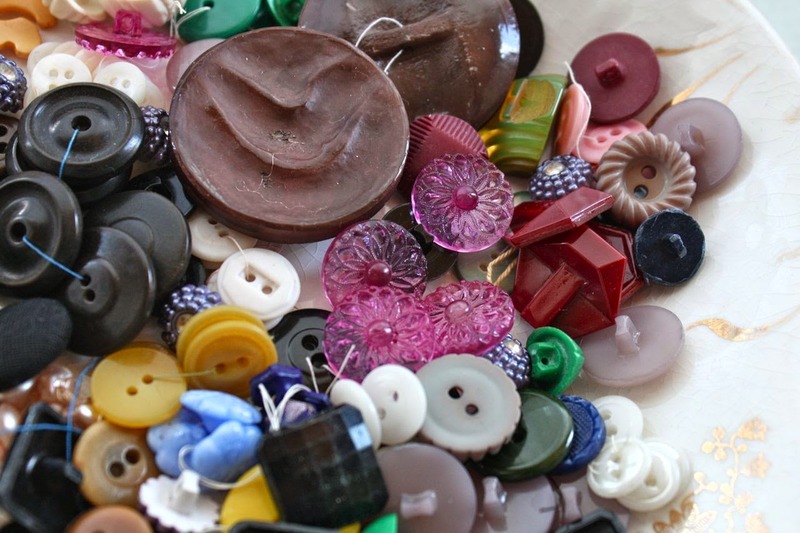 I'm especially excited about some of the buttons by Fancy Pants for cards. Little tiny banners from Crate Paper. Oh ya, those are going right into my travel mini album. Last but not least, the Bits and Pieces kit has the cutest stamp set and die along with a full 6 x 6 paper pad of some of my favorites from all the kits wrapped into one little bundle. See those tiny phrase stickers? Oh how I love those. I'll be adding them to all my Life Pages. This set is a really good one for the card makers. I can't wait to get inky with this one. Okay, that's a wrap for today. 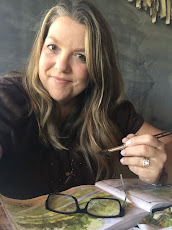 Enjoy the peeks and check back for some peeks at my upcoming projects for July. I'm off to spend the day with all the special dads in our family. Feeling blessed to celebrate with THREE special dads today. Trickling in are a bunch of pretty items that I'll be using to assemble some new card kits for the shop. I've been missing the process of putting together the little pretties so be looking for fun new things this Summer. 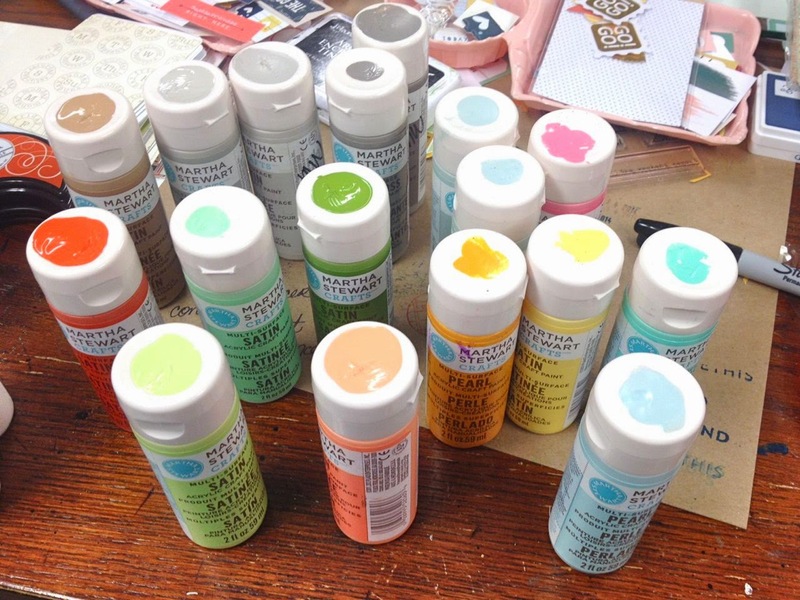 I've been adding to my Martha Stewart paints. The colors are just so pretty. I pick up a few new bottles every now and then at Michaels. 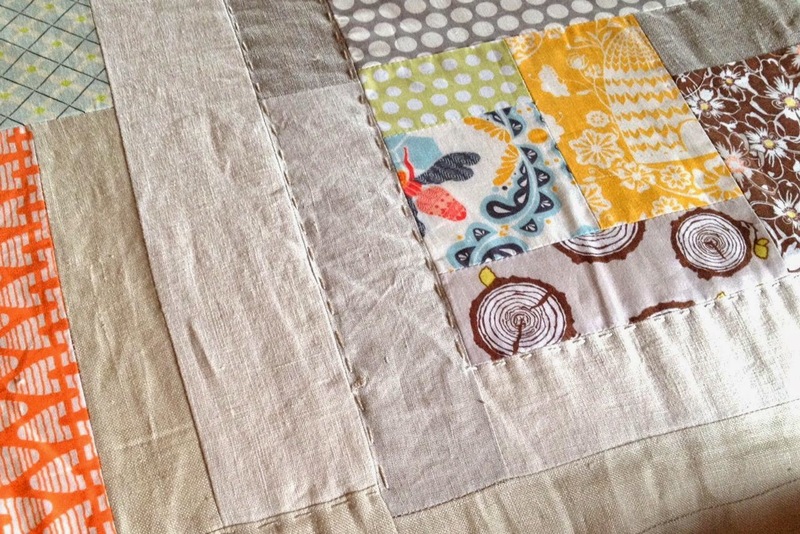 I've made a lot of progress on my Catherine Quilt so look for some updates soon here on the blog. 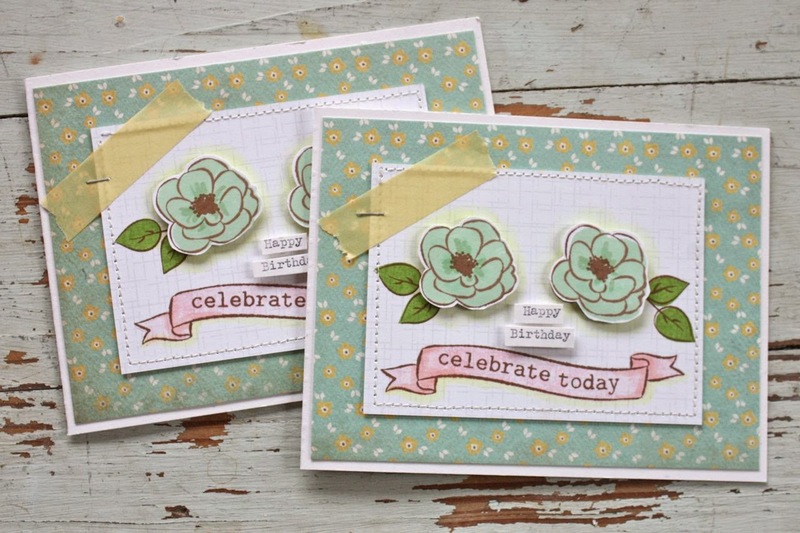 Speaking of Workspace Wednesday, check out this peek of the June Gossamer Blue Life Pages stamp set. I'll be giving peeks of my favorite items from each new kit on June 15th. Lastly, I've been adding new items to my online garage sale. Check my shop daily for new additions over the next few weeks. Well.....back to the daily grind. Thanks for stopping by. 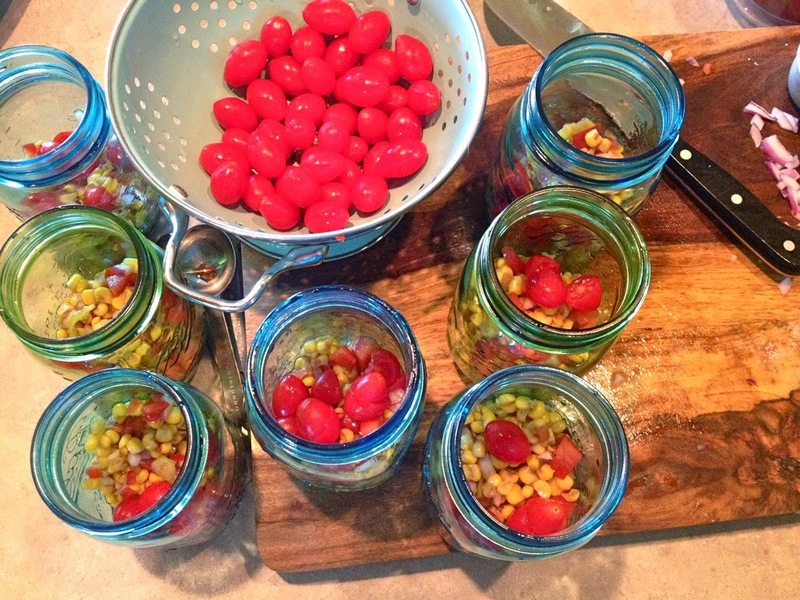 Today I'm sharing a delicious recipe that I make a lot every Summer. 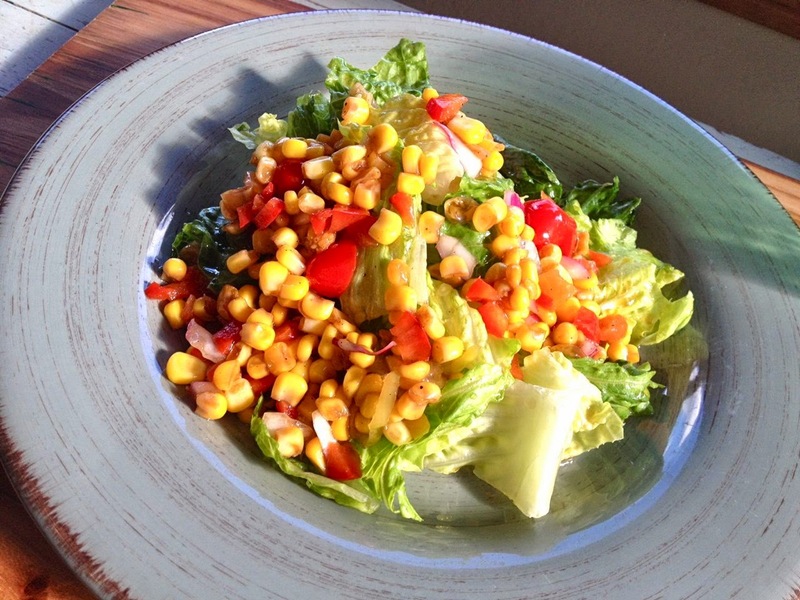 It's called Picnic Corn Salad and you can find my original post and recipe here. 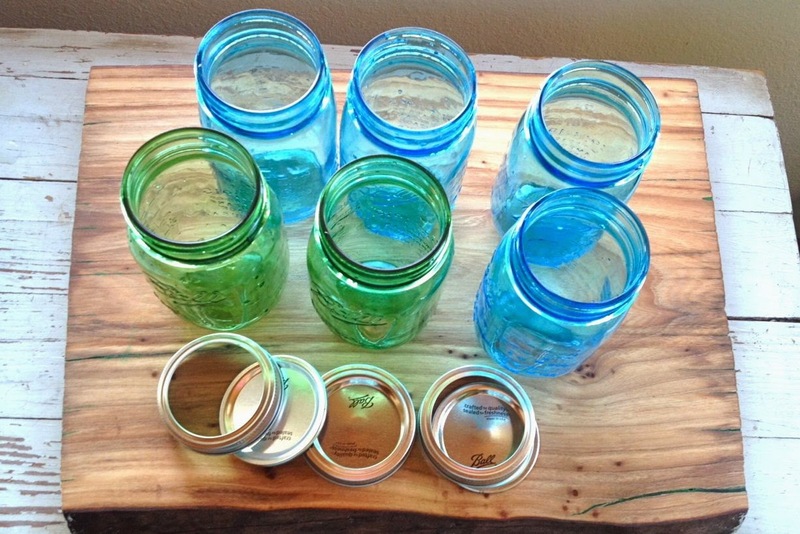 I've been collecting these limited edition blue and green jars from Ball and I love to use them for drinking glasses, storing leftovers, mixing up salad dressings and today I'm using them for my salad in a jar recipe. You can find them at Walmart, grocery stores, Target, Michael's (use your coupon) and lots of other places. I start with a lineup of fresh and simple ingredients. I mix up all the veggies except the lettuce to create my salad topping. Once the veggies are mixed with the salad dressing ingredients I divide the mixture up between my clean jars. I store these with the lids on in the refrigerator until I'm ready put the lettuce in the jars and serve my salad. You can add the lettuce in advance but if you want it really fresh and crispy, wait as long as you can. 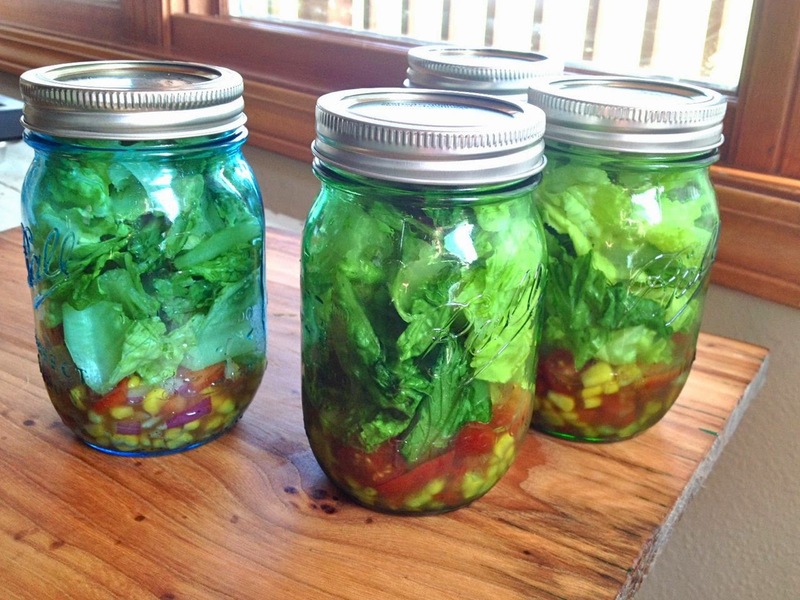 When I'm ready to serve my salad I stuff the lettuce into the jars. I like to use a bagged romaine but any type of lettuce would work. To serve the salad you just dump the salad upside down onto a dinner plate. 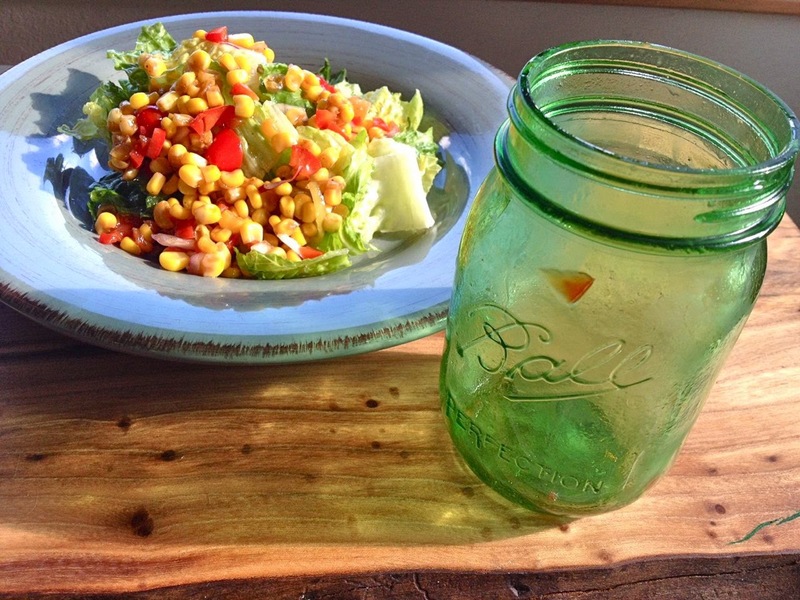 The salad dressing and chopped veggies that were on the bottom of the jar are now the topping for the salad. I love this as a meal but you could certainly add grilled chicken or fish or serve with steaks or burgers or another meat dish. So light and refreshing, I hope you give it a try. It's time for my annual garage sale and I've selected some items to go into my online shop too. I've been busy collecting items just for you. Check out all the listings in my online shop. I will be happy to combine shipping for multiple purchases.....just add the items to your cart and check out as usual. Feel free to shop for my usual paper items found in the shop too. I'll refund your PayPal account. Sorry, no international orders this time. 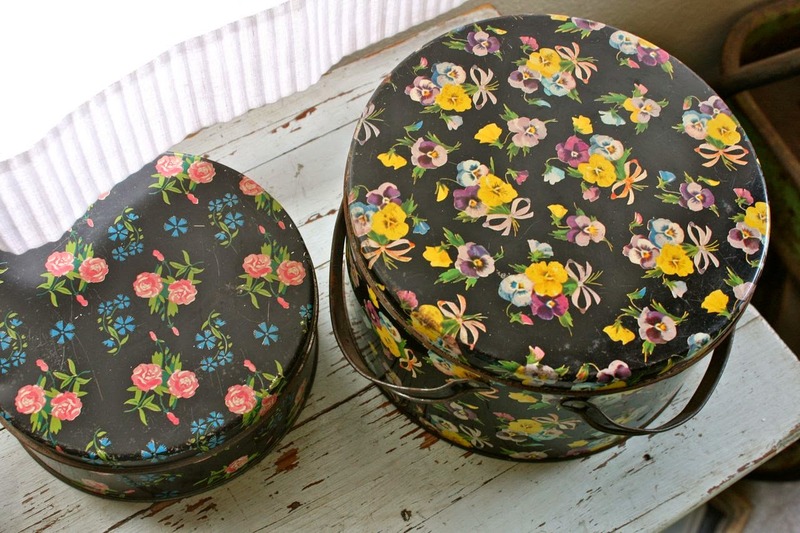 Here's what's up for sale.....bread tin and Jello molds. 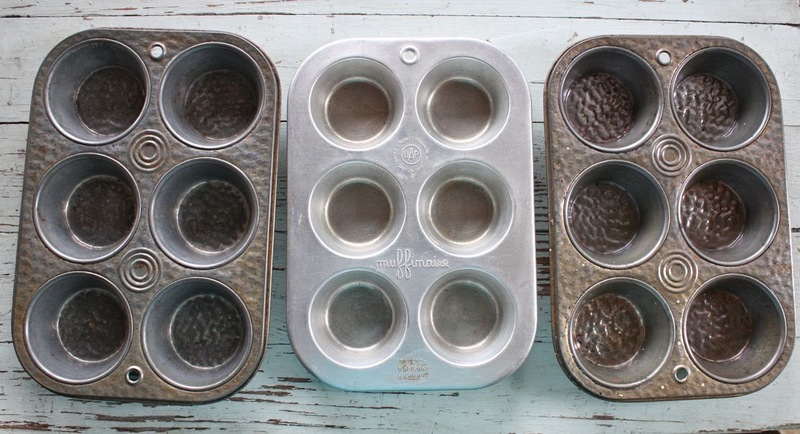 Set of 3 muffin tins. 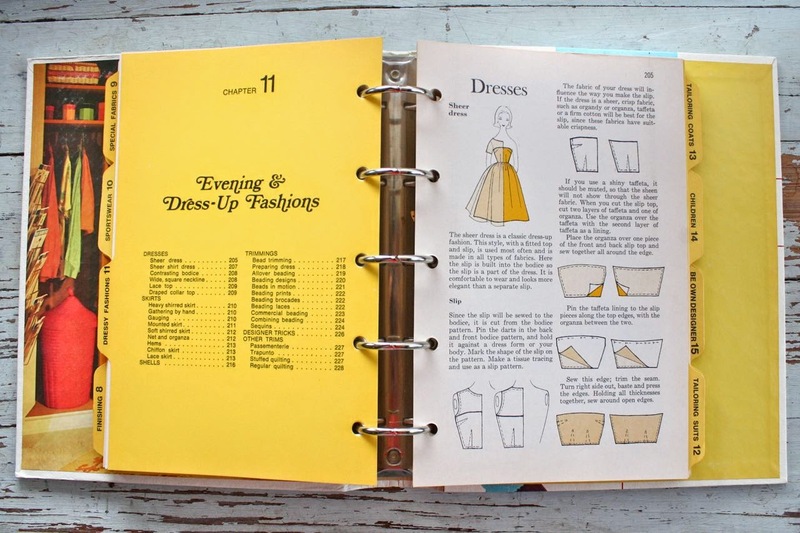 Better Homes and Gardens Sewing Guide Book. 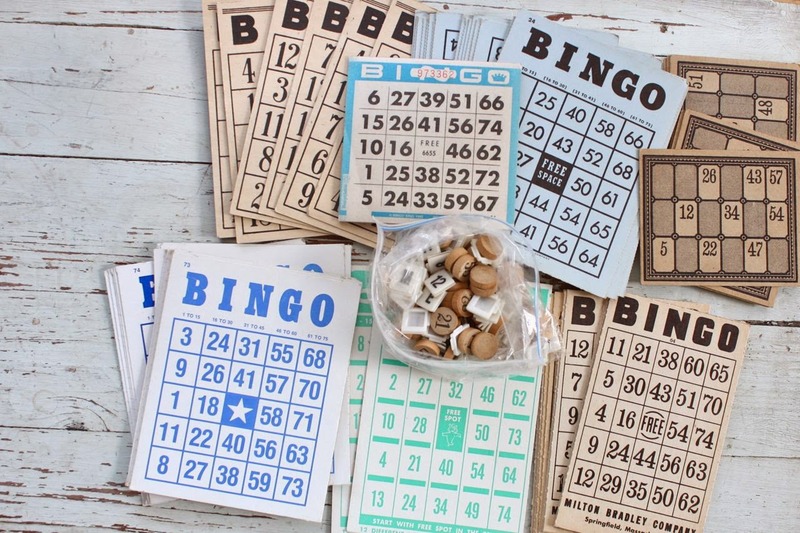 Huge lot of Bingo cards and number markers. 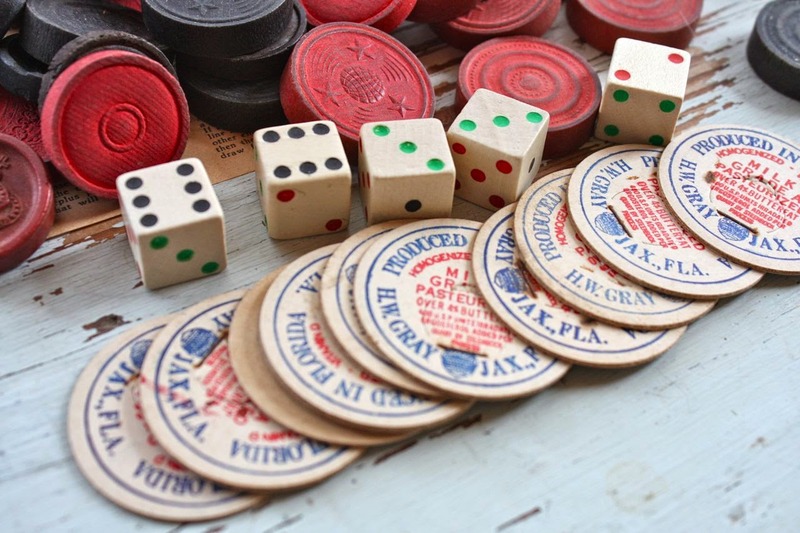 Lot of vintage playing cards. Wood checkers markers, dice and milk bottle caps. Big lot of mixed letters. Be sure to check back at the shop often. I'm digging deep so there will be more items added over the next two weeks.